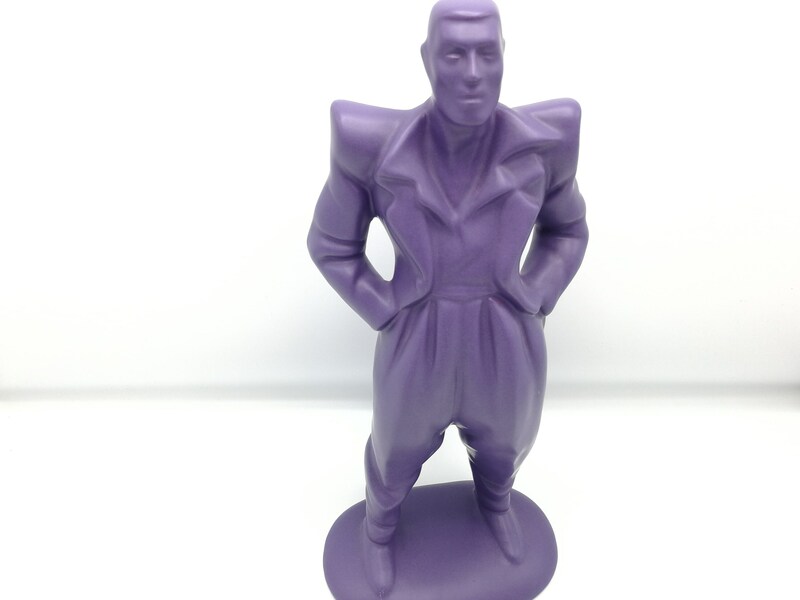 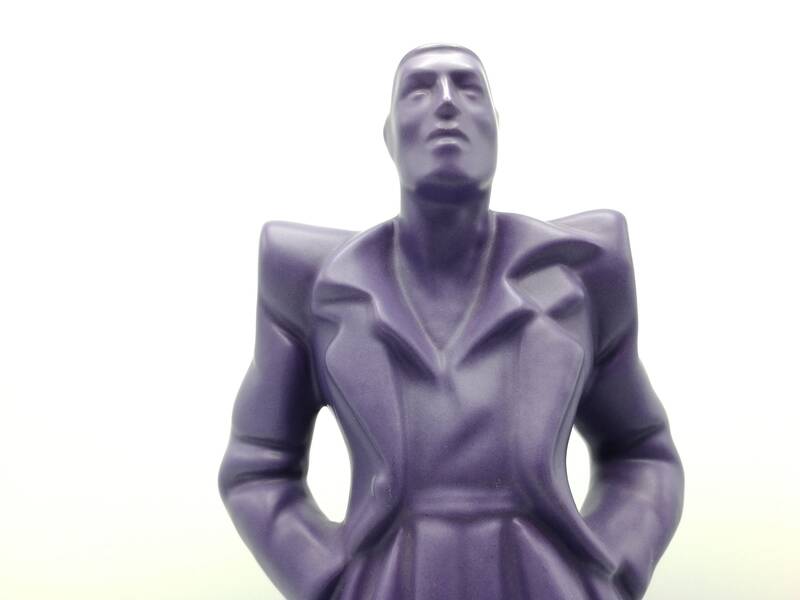 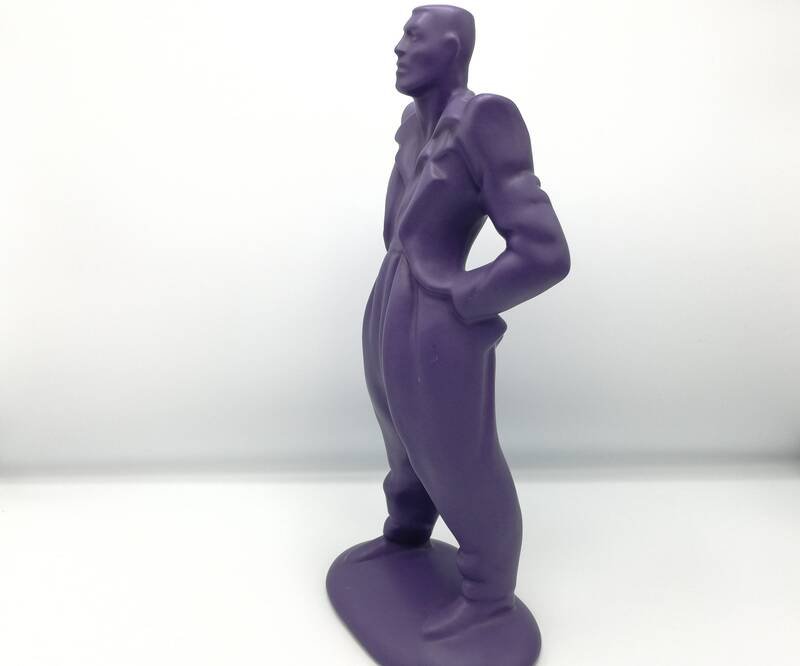 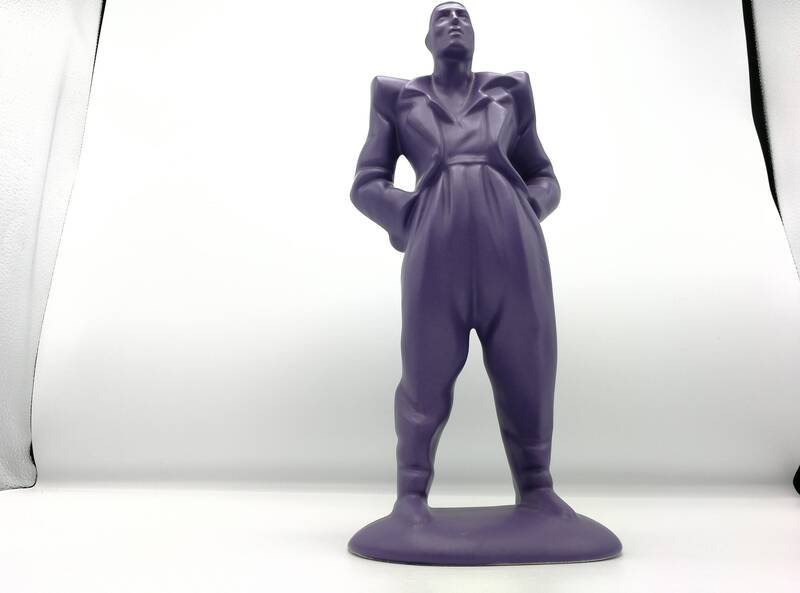 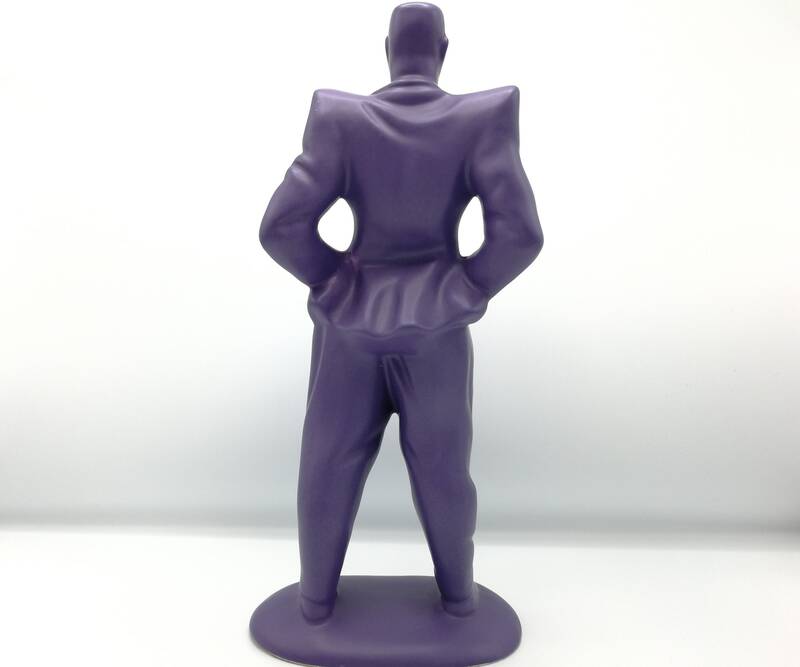 This purple figurine was probably made by Haka in the 1980's. 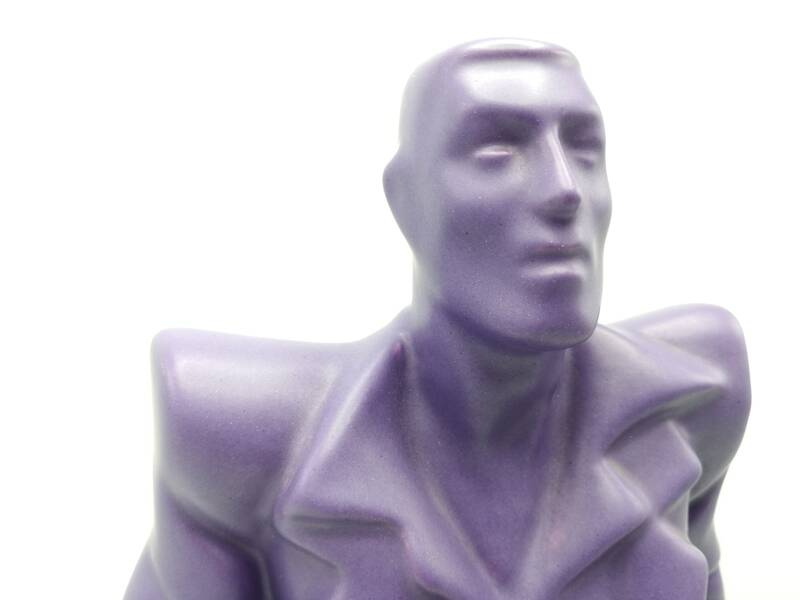 It resembles their line of Lindsey B. style ceramic pieces. 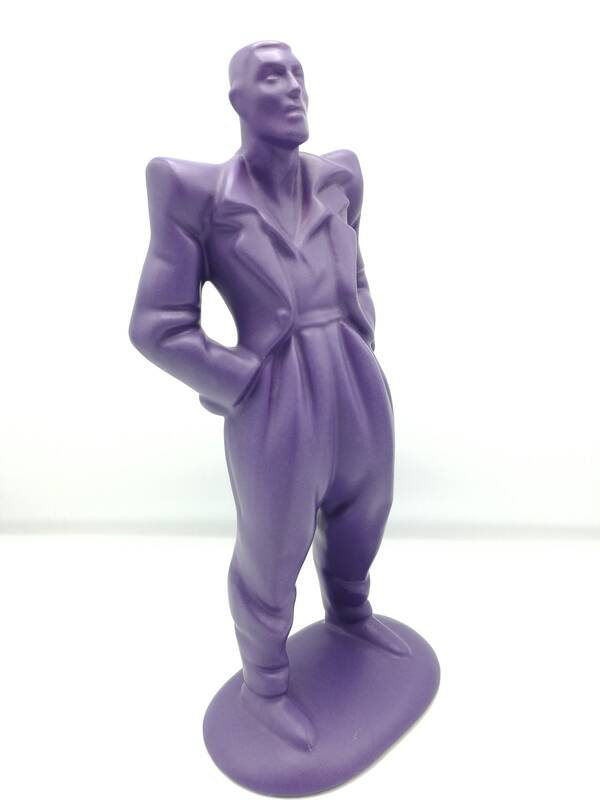 The male figure has that art deco vibe, but also resembles The Joker from Batman. 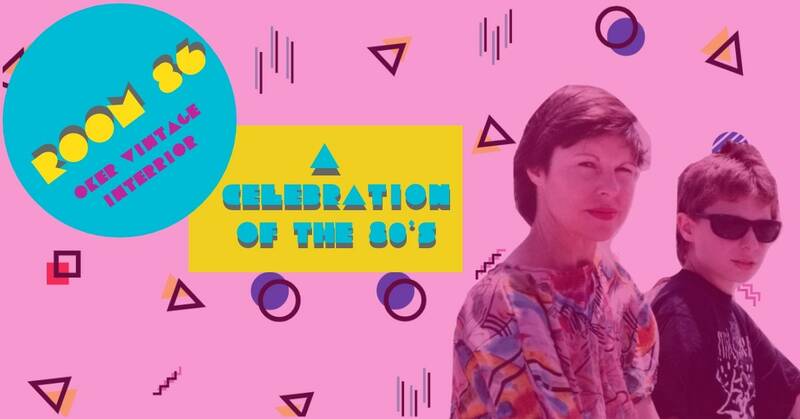 Typically 80's fun!